Meet Our Team of Experienced Travel Consultants. Whether you’re visiting the Magical Kingdom for the first time or looking for a romantic getaway for two, our experienced consultants make the process easy. 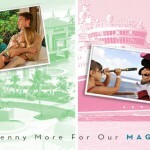 We’ll take all the stress out of planning the perfect trip and you’ll NEVER pay a penny more for our Magical Services.